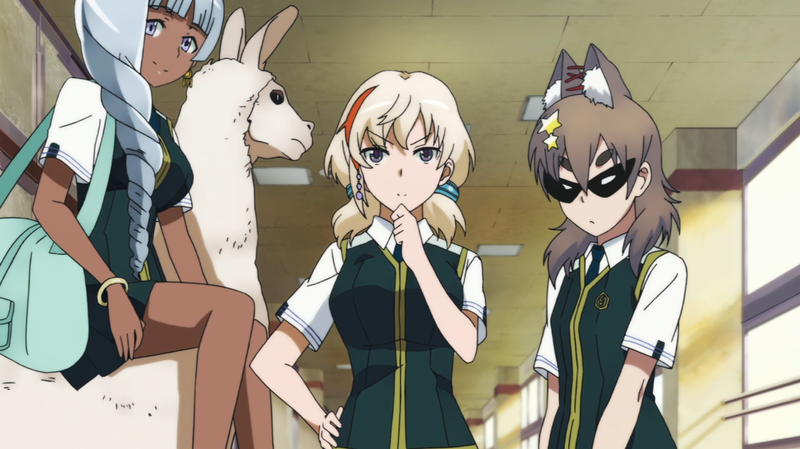 Ai, Mai, and Mii star in the magical scrap-booking adventure show Witch Craft Works. 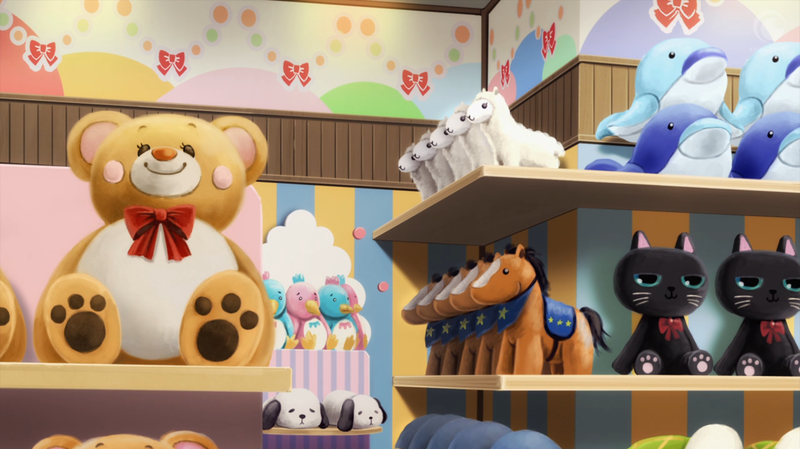 Never without their alpaca, Ai and co. travel the world teaching kids and adults alike the wonders of arts and crafts. In the picture above, Mii is shown sporting her newly made animal ears while Mai rests from carrying their supplies on the back of their ruminant friend. Unsurprisingly, Ping Pong is about table tennis. Featuring fun and interesting characters and art drawn by an eight-year-old, Ping Pong delivers a volley of excitement with each episode. C.C. 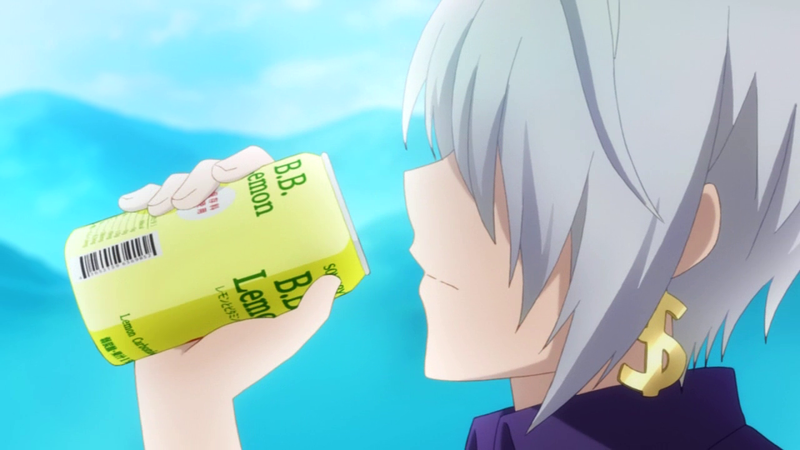 Lemon is a brand of lemon-flavored vitamin drink favored by professional table tennis players and can be spotted often throughout the series. In search of Nanana's buried treasure, Juugo Yama joins a master detective and a cross-dressing maid. Their quest leads them down perilous dungeons hidden in plain sight. You can see the entrance to one just behind the row of alpacas if you squint hard enough. If there's one thing that No-Rin's Money Kanegami loves more than money it's her sweet B.B. Lemon drink. After a hard day's work, she knows there's nothing better than spending a coin or two and quenching her thirst with that sweet lemon nectar.